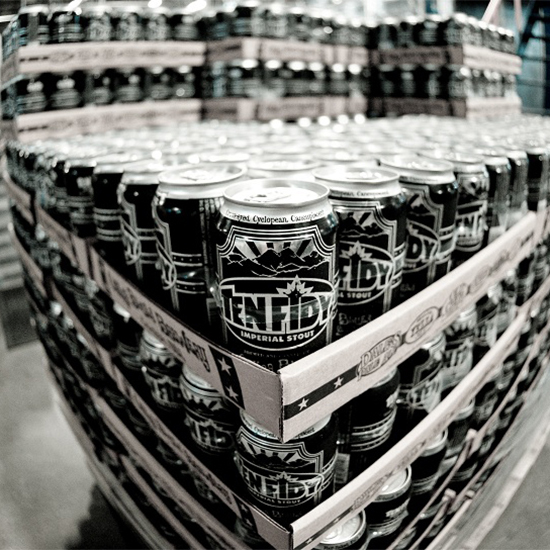 In the past decade, there has been an explosion in the number of canned craft beers. The biggest cause for the increase is easier access to the canning process. Previously, bottling was a far simpler packaging endeavor with less upfront cost, but a rise in the number of smaller units and mobile units has opened canning up to many more brewers. However, according to Forbes, a recent report from the Brewers Association worries that this trend could start to reverse. This time, the problem isn’t the process, but the cans themselves. Small-batch brewers rely on access to lower minimum order thresholds, and those may be drying up. Apparently, a very limited number of can suppliers exist. Earlier this year, the top two companies Rexam and Ball announced a merger. Now, if Forbes sources are accurate, the third largest brand, Crown Holdings, has been cutting supplies to both new and existing customers and lengthening lead times. The ramifications could be serious. “It’s not like you have many choices,” one mobile canning company told Forbes. “You’re going to use one of the three guys.” Crown has previously set themselves apart from the other big can supplier by catering to craft brewers, but at least one anonymous brewer said that had changed for them recently. Crown is currently “beating up on” craft brewers, he said. For the record, neither Crown nor the Brewers Association responded to Forbes' request for a comment, so neither the accuser nor the accused has verified to what extent this is true. And the potential Rexam-Ball merger is still under regulatory review. So a full-on craft beer can-pocalypse is not upon us yet. But it could be something to watch out for, especially if you’re one of the many of craft beer drinkers who has become accustomed to getting your favorite beers in cans.